In Time for Tomorrow? offers empathy, encouragement and a practical path to anyone who feels concerned but lost, angry or powerless about this urgent topic. Rosemary Randall and Andy Brown help us confront our everyday denial and collective resignation. Written as the handbook for the ground-breaking Carbon Conversations groups, In Time for Tomorrow? will help you minimise your impact and give you the courage to speak out. 212 pp, full colour, illustrated with more than 80 stories from people initiating change in their personal and collective lives. 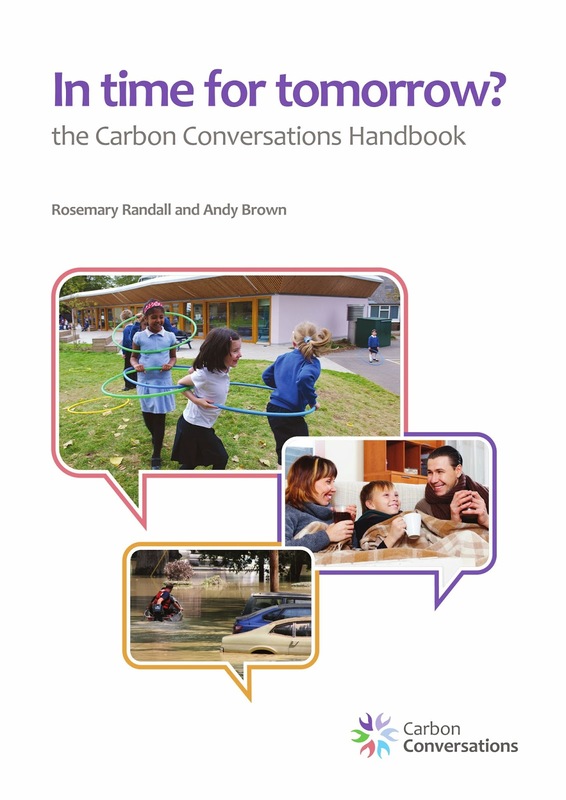 But you can download all the Carbon Conversations materials from the website.